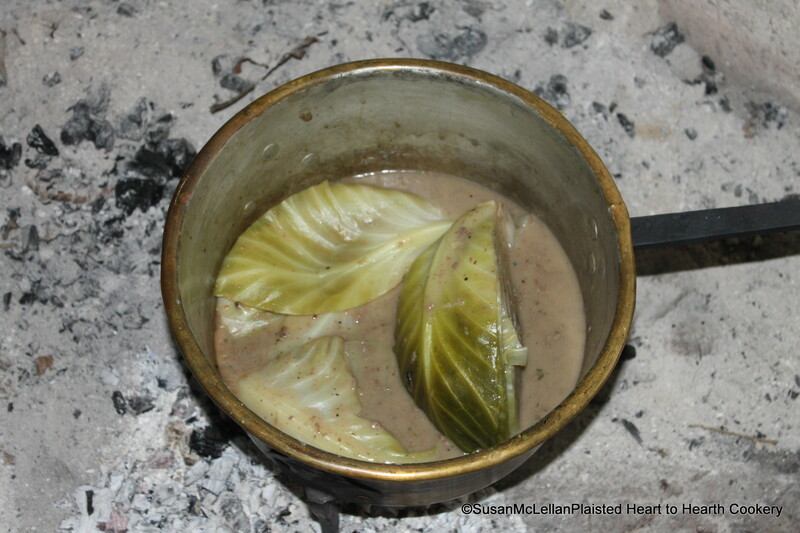 For the receipt (recipe) for Cabbage Soup, some of your Quarters (of cabbage), not too big, put them in a Stew-pan, and stove them up with some brown Meager Gravy thicken’d, and well season’d. Since the beef for the receipt Beef a la Mode was passed off brown and larded with lard seasoned with Pepper, Salt, Cloves, and Mace, Thyme and Parsly minc’d. the gravy was prepared with those drippings.